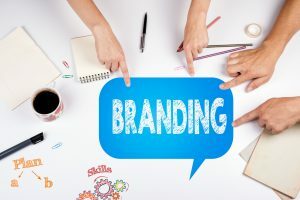 Does your business have a branding problem? While rebranding a business leads to cosmetic changes, it doesn’t always fix the core issue. Brand repositioning, on the other hand, involves re-evaluating your place in the market. It’s what catapulted Old Spice from a faltering brand to one of the leading US deodorant brands. Of course, brand repositioning can be costly. However, you can also lose out on money if you avoid repositioning when your brand desperately needs it. Therefore, it’s important to look start the process before it’s too late. Keep reading for a quick look at 5 common signs you need to reposition your brand! Erratic sales and unstable market shares can signal under-positioning. If your brand is under-positioned, it means that your message is too vague. As a result, consumers have a poor understanding of what benefits your brand offers. The only way to fix this issue is to reposition your brand. You need to focus on tightening up your message. Use a more succinct slogan and compare your brand to relevant competitors. It’s normal for businesses to expand as they grow older. They innovate and begin to offer new products or services, or they refine old ones. This leads them into new, unfamiliar markets. However, when you enter a new market, it’s critical to adapt to changes by repositioning your brand. Failing to reposition makes it impossible for you to compete with other brands in that market. Many consumers will completely miss out on what you’re offering due to lack of awareness. If your brand has been around long enough, consumers may perceive it as trustworthy. Unfortunately, they may also perceive it as stale and irrelevant. The only way to shake off the perception of being an outdated brand is to reposition, as this problem will only get worse over time. Modernizing your brand can help you compete with newer firms in your market. You may also run into an issue where the benefits of your brand are well communicated, but there are few points-of-difference. In this case, you have a lack of unique attributes that separate you from your competitors. By repositioning your brand, you can draw attention to these attributes. That said, avoid over-positioning your brand. This occurs when you focus too much on a few points-of-difference. Instead, find a balance by incorporating points-of-parity, or attributes shared by your competitors. If your average customer doesn’t match your target market, you should consider repositioning your brand. Make sure you’re attracting the most profitable target market. The market should target now even be a lot different than the one you were targeting 10 years ago. Consider using focus groups to find out what your target market wants from your brand. When repositioning your brand, don’t neglect your current customers. Keep in mind that acquiring new customers can cost more than 5 times as much as retaining old ones. Start the repositioning process by identifying what’s wrong with your current branding. Get a free reputation audit to find out where your brand stands. Also, use surveys to determine why people prefer your competitors’ brands over your own. Be sure to check out our blog for more articles on building a successful brand!